Champion of Choice | The Better Plan . .
Isaac Lidsky is back and is as helpful and impressive as ever! + Happiness doesn’t just happen, it takes attention. + Starting your day with three minutes of negative news in the morning increases your chance of having a bad day by 27% (as recorded 6-7 hours later). + It’s incredibly important to focus on a solution, rather than focus on the problem. + 91% of us need to respond to stress better; people get stuck in the problem. + Helpful to get the brain to focus on even one small meaningful action you can take right now to start solving the problem; so many benefits from getting to an action phase. + Becoming who or what we want to be isn’t about discovering and flipping some life-changing switch, as much as it is about intentionality everyday and managing your own well being. + Optimism is basically the belief that in the midst of challenges our behavior matters and the expectation that good things will happen. + We are malleable and can change our levels of optimism. 1) Do you stay stuck in the problem? vs. Do you move to an action plan? 2) Are you keeping things inside you? vs. Are you communicating with people you trust? Building social connection is the greatest predictor of long-term happiness. 3) Are you staying calm? vs. Are you letting something ruin your whole day? In general, do you view events as a stress or do you view them as a challenge? The brain really gets into taking on challenges, which also results in less stress symptoms. Finally, the interview ended by emphasizing the importance of taking your vacation days, all of them, every year! 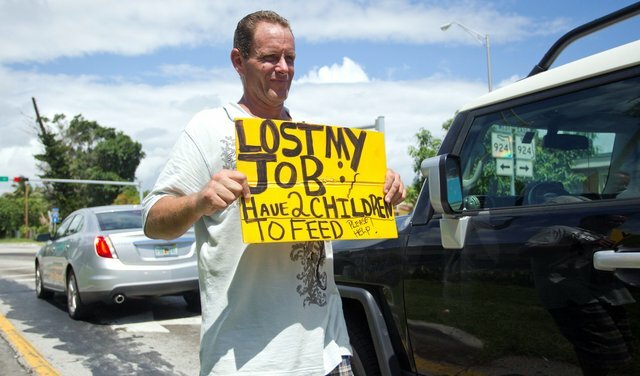 We are better at our jobs when take vacations and mentally disconnect from work. Choose to go on vacations! Lidsky has written his own bestseller, Eyes Wide Open, which will be even more impressive to you after viewing his TED talk. On a personal note: After reading about and watching the Lidsky / Gielan interview, I did a search on The Better Plan blog and re-discovered my post of October 9, 2016, in which I not only introduced readers to Lidsky’s amazing story, but also shared my own (then recent) cancer diagnosis, a rare form of non-Hodgkins lymphoma known as Waldenstroms. 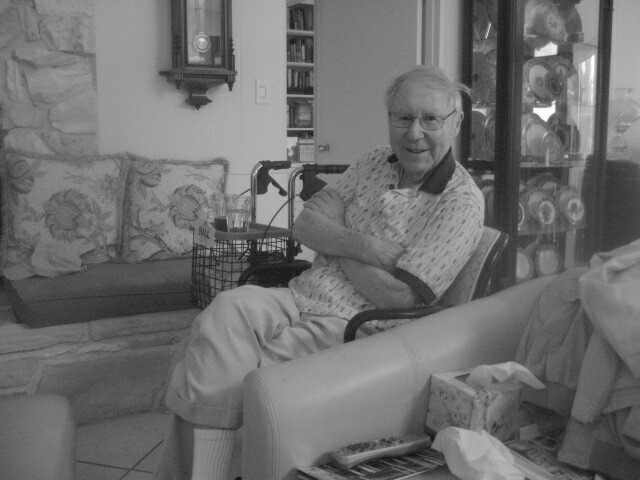 Seeing that I am writing about Lidsky again, it seems right to update you on my cancer thing. After almost a year of chemo pills and infusion therapy, my blood levels are almost entirely back where they need to be. My energy is back up and I have even gotten back on the bike and conquered the small mountain on which I live. Recently, I was taken off of the pills and the infusions because they want to see how I can do on my own. So far, so good. Love to all. 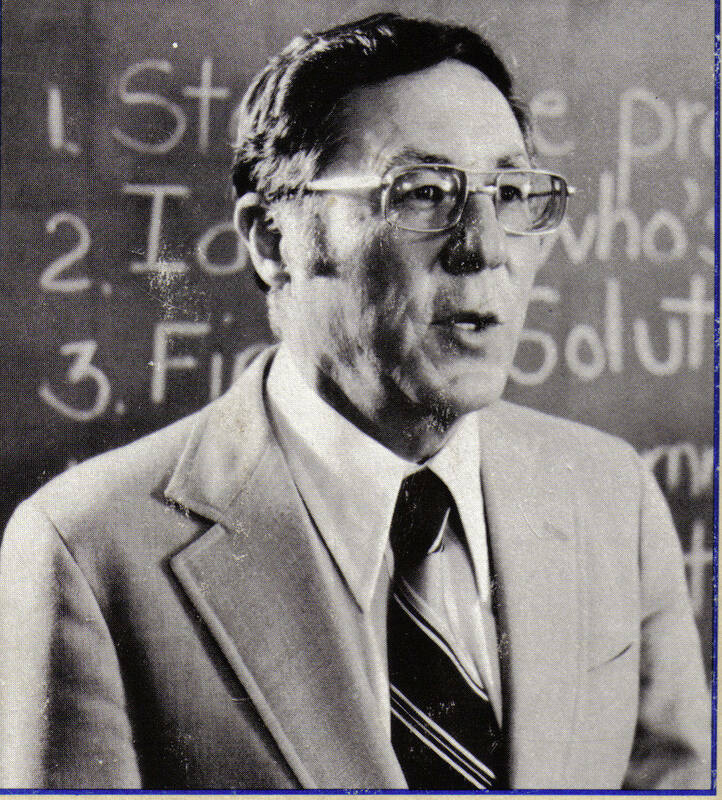 The book that connects the dots of William Glasser’s ideas and his career. 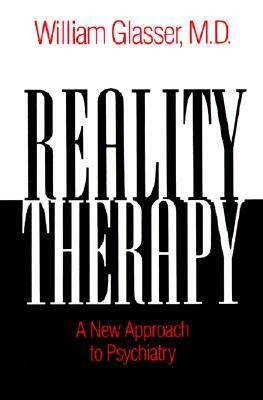 I’m sure you know how much I love the work of Dr. Bill Glasser, known as Choice Theory, Reality Therapy and Lead Management. It’s had such a big impact on my life and work, and it’s very effective at helping people to build stronger relationships with themselves and those around them. I was recently featured in an interview on an online program called VENTURES, which has been created to build the global Glasser community and extend the legacy of Dr. Glasser’s work around the world. This interview is available online now, and they’ve opened up a window so that the [people in my world can watch it… but it is a time-limited opportunity. The video will be available for a sneak peek for only the next 10 days… after that, this special promo page will be taken down, and it will only be available to subscribers. I’m really excited about the work of VENTURES, and I encourage you to become a subscriber. Every month VENTURES releases new content specifically created to inspire, support and extend the ideas of Dr. Glasser. The people behind VENTURES are Jean Seville Suffield, President of Glasser Canada, and Lynn Sumida, Senior Faculty for Glasser International. They, together with newcomer Paul Johnson, have been working tirelessly to launch this project, and I’m so happy to both support and recommend them to you. The biography is such a good way to meet the man, but it is also a great way to learn about his ideas. The biography can be purchased from the William Glasser Inc. bookstore at wglasserbooks.com. It can also be purchased through Amazon at this link. A digital version of the book can be purchased from the publisher at this link. All formats are available. Also, signed copies can purchased from me. Let me know. If you have read the book I encourage you to post a review on Amazon or even on your Facebook page. Let’s continue to get the word out on mental health and happiness. The two days labeled as December 31 and January 1 are two of the biggest choice theory days of the year! We make a big deal out of these two days – one day representing a reflective farewell, the other representing a determined new beginning. There can be other important days in our calendar year, unexpected challenges that call on our choice theory prowess, but these two days roll around every year. And every year they seem to invite us to take a look back, to take stock of ourselves, to self-evaluate, and then to make a plan and set a course toward goals we see as important. One thing choice theory points out is that it is possible, in fact, likely, that we will have conflicting pictures in our Quality World. The Quality World represents the area in our brains where we store pictures of any person or any thing that satisfies a Basic Need. There is nothing that says we can’t place things in our Quality World that satisfy a need, yet aren’t good for us. I can have a picture in my Quality World of not eating high fat, high sugar food, and I can have a picture of cake in there, too. (Maybe the incredible lemon cake I described in the June 14, 2014 blog post.) Both of these pictures are need-satisfying in some way. I like the idea of eating healthy food, and I like the idea of eating unhealthy food. A lot of us can relate to this angst. Choice Theory agrees with Switchfoot, the band who wrote This Is Your Life, in that today is indeed all we have. Fuming about the past or worrying about the future will not empower us to answer the important question, Are you who you want to be? With this in mind, here are a few things to keep in mind as we let go of 2015 and plan for 2016. It’s good to admit that for some reason ineffective behavior is need-satisfying. Ineffective behaviors are often (maybe always) self-medicating. Healthy or unhealthy we do these behaviors for a reason. Make a plan that is realistic and reachable. Overnight, complete makeovers don’t qualify as realistic or reachable. A good starting point might be just selecting a time during the day when you can center, balance, and focus on the important. Call it meditation, call it devotional time, call it whatever, but set a private time for centering and strengthening. Instantly eradicating a need-satisfying behavior, even one that is destructive, is hard to do. It is more doable when we come up with a new or different behavior to take its place. This takes some creativity, but it is worth the time. Taking small, consistent steps toward a goal is a good way to make significant change. Huge, immediate victories are great, but such a mindset can lead to huge defeats, too. Don’t let slip-ups and mistakes keep you from re-evaluating and re-engaging in the plan. Slip-ups are common and are to be expected. You will sleep in instead of going to the gym; you will criticize a loved one; you will eat the lemon cake. Instead of guilting yourself and throwing out the plan because of your mistake, celebrate that it didn’t feel right when you behaved the way you did – whether it was overeating or vegging out in front of the television – and get back on track with a new plan. Never give up on yourself and never give up on the important people in your life. Every day of the year can be a December 31 when it comes to self-evaluation and change. If you have read the Glasser biography, Champion of Choice, I encourage you to post a brief review on Amazon. More reviews will encourage others to check out Glasser’s ideas. The sun was in my eyes. What can I say? Not all pictures can be great pictures. The important thing is I got a shot in front of a place that’s important to me. 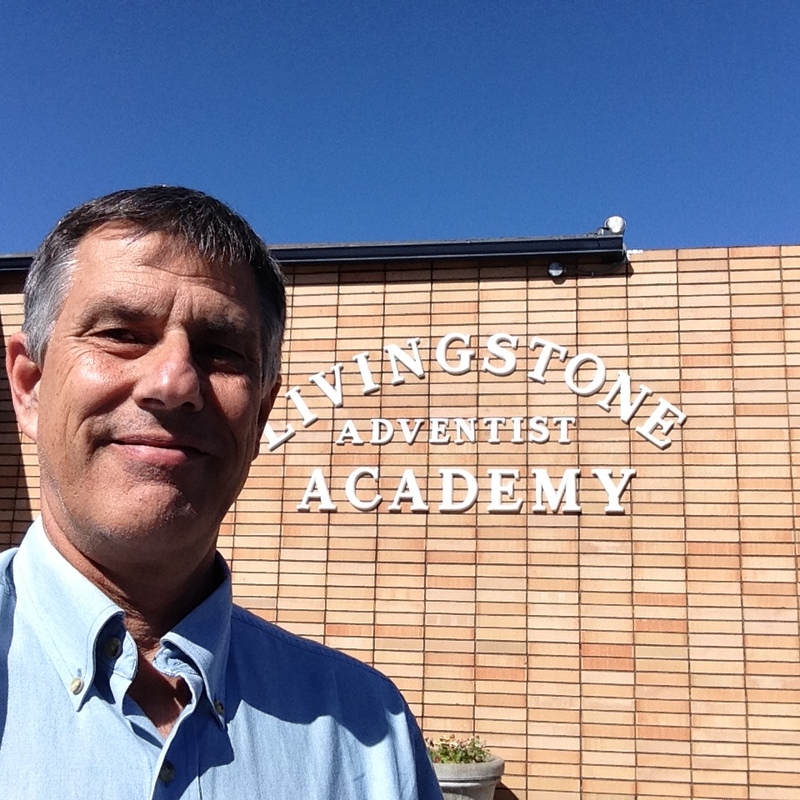 I was privileged this past Thursday and Friday (June 11-12) to provide a Better Plan in-service to the staff at Livingstone Adventist Academy in Salem, Oregon. This was especially meaningful to me as my choice theory journey and the Soul Shaper book came out of my experience at Livingstone 20 years ago. I was principal of the school from 93-96. 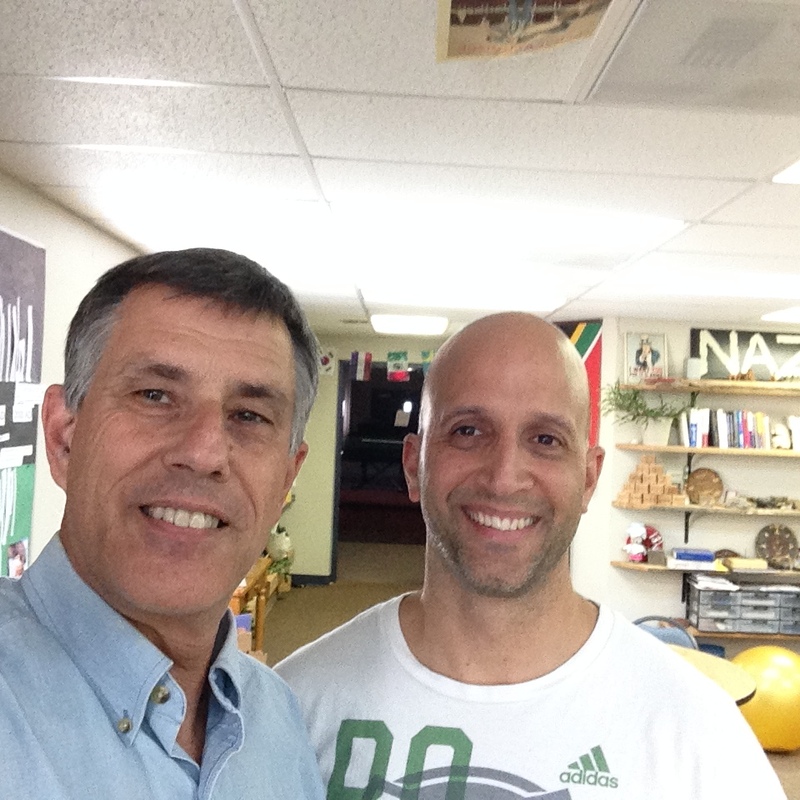 While several teachers (I always refer to the team I worked with as the Original Soul Shapers) from the mid-90s continued at the school until very recently, only one remains now, that being Chris Sequeira, who teaches History and Bible there. I was very pleased that the new team at Livingstone wants to learn about choice theory principles and consider ways to apply them in a classroom setting. Chris Sequeira (on the right) and me in his classroom after the in-service was over, and just before we bid farewell to each other – him to see his daughter graduate from Walla Walla and me to head to PUC for graduation weekend. With the in-service behind me now, like school teachers and workshop facilitators around the world, I am now in that place called reflection. How did the workshop really go? What did I do or what took place that worked? What could be improved? What needs to be tweaked to make it better the next time I do a two-day training? 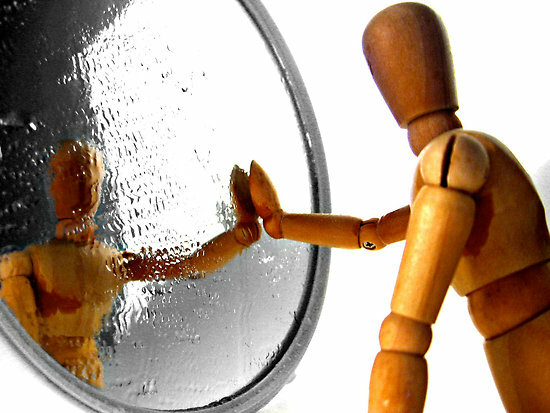 Reflection is the act of self-evaluating, and self-evaluation is a powerful part of choice theory. It’s not about beating myself up over not covering as much content as I wanted to, or not covering a concept as effectively as I would have liked. It’s about authentically (and compassionately) reviewing what took place and then modifying my lesson plan for the next go at it. I did the best I could; now I think maybe my best can be better. The team at Livingstone seemed to resonate with the choice theory concepts. 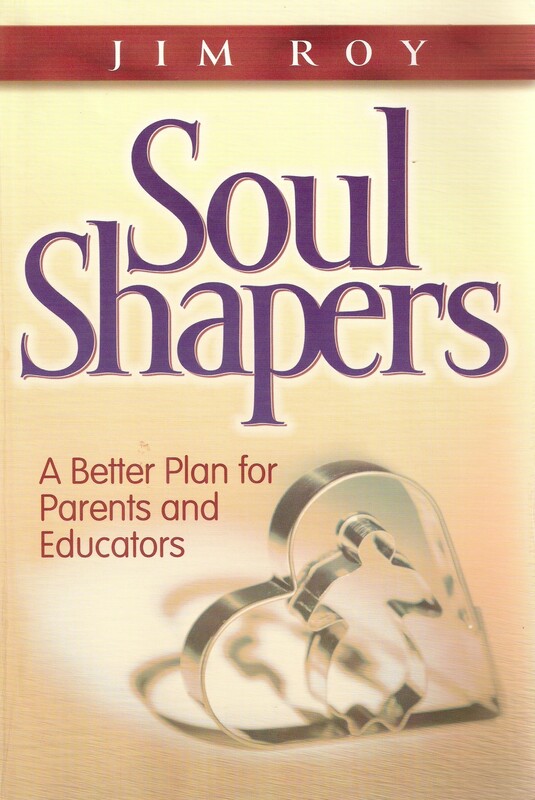 Most of them had read some or all of Soul Shapers before the in-service, so that helped. They had questions about some of the psychology pieces, but I didn’t pick up any “dealbreaker”responses. Their real questions, the tougher questions, had to do with how do you put these ideas into action? How, for instance, do you use choice theory with five-year-olds? How would choice theory affect classroom management in a high school classroom? What do you do with the kid who refuses to respond to reasonable choices or additional chances for success? These kinds of questions are similar to the challenges we all face. Choice theory sounds good, but how does it really work? The subtitle came to me as I was putting the finishing touches on the handouts, but the more I think about it the more I like it. There’s a lot contained in the phrase, “Being what we want our students to become.” For one thing, as teachers and parents we tend to focus on the behavior of our children or our students. In other words, we focus on what we want them to become. Choice theory reminds us, though, indeed thoroughly explains the importance of our first focusing on ourselves and what we bring to our homes and classrooms. Choice theory emphasizes the value of understanding our own being – our thoughts, our goals, our habits, and our beliefs. Only as I come into an appreciation of my own internal control design can I share the theory of that design with my students. Only as I come to see the sense of the axiom that the only person I can control is myself will I be better able to implement a classroom management plan that honors the internal control design of each of my students. Our first focusing on our “being” as teachers does not mean that we cannot seek to guide and influence the behavior of our students. 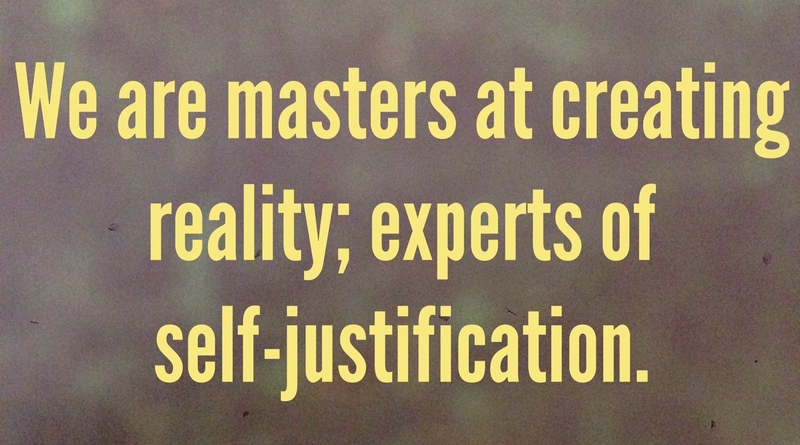 It is always interesting, though, when we consider how our own thinking and acting may have been a part of creating the problem we want changed. The clearer we see ourselves the better our management strategies will be. Not that I want to compete with Amazon, but I can beat (sounds competitive) the Amazon price when it comes to the Glasser biography – Champion of Choice. Amazon’s price right now for the book and shipping is $30.17. My price for the book and first class shipping is $26, plus I will sign the book if you request it. (Media Mail shipping would be less.) Get in touch with me to order your copy at jimroyglasserbio@gmail.com. Expedite the order by sending me a check for $26, along with shipping instructions, to P. O. Box 933, Angwin, CA 94508. I can now sell for lower than Amazon. Let me know if you want one or several copies. 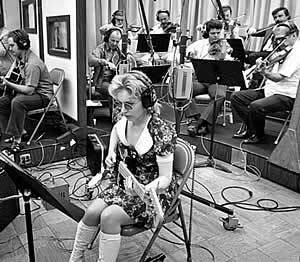 I recently saw The Wrecking Crew, a movie about the burgeoning music industry around Los Angeles in the 1960s, and the almost unknown studio musicians that played anonymously on many of the albums that were then being recorded. An impressive number of these songs went to the top of the billboard charts and achieved widespread fame. 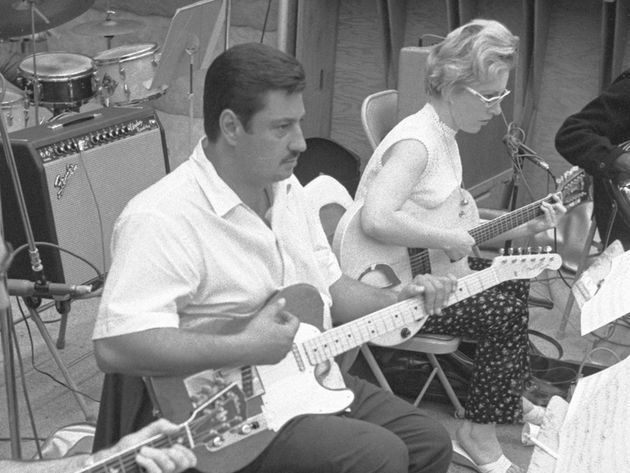 Carol Kaye, bass player for The Wrecking Crew, and one of the best bass players of all time. These incognito studio musicians came to be known as The Wrecking Crew and were highly regarded throughout the Southern California music industry. Unfortunately, that almost invisible regard was all the notoriety these musicians would receive, as they were never mentioned on album covers or with singles that achieved #1 billboard status. 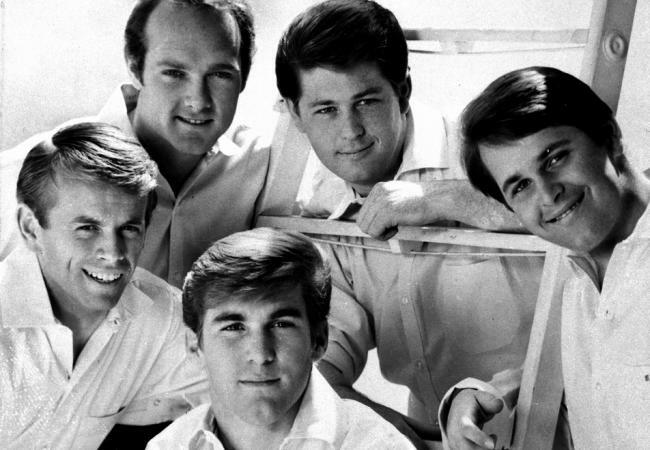 The list of individuals and groups they recorded with is too long to list here, but a few of them include: The Beach Boys, The Mamas & the Papas, The 5th Dimension, The Association, The Monkees, John Denver, Nat King Cole, Simon & Garfunkel, The Grass Roots, Gary Lewis & the Playboys, Cher, The Partridge Family, Bing Crosby, and Nancy Sinatra. They also recorded countless TV program theme songs (recall the opening to Bonanza) and commercial jingles. Tommy Tedesco, probably the best guitarist you never heard of. So what’s the problem, you might be thinking. Let’s take The Beach Boys as an example. Brian Wilson, a member of The Beach Boys, was a music genius and arranged harmonies that are incredible. The rest of the group could sing well, but they weren’t as good as Brian when it came to the instruments. Brian would work with The Wrecking Crew musicians when it came to recording an album, since musically these guys were amazing. Another of The Beach Boys admitted that they were on the road 150 days out of the year and didn’t have time to practice. And yes, the sound of the live group on the road was quite a bit different than the studio musicians back home. This same scenario played out time and time again with other groups, too. And so these little known musicians stayed very busy during this unique beginning of the rock and roll era, and they made good money in the process, yet they were rarely acknowledged for their contributions. Hit song after hit song was the result of their talent, but they were not given credit for any of them. Things would change in the music industry and the studio era would pass. Music groups would come to be made of individuals with serious music talent, able to both record in the studio as well as to perform on the road. The Wrecking Crew musicians became less and less busy as a result. Some of them, like Glen Campbell, created solo careers, but this was pretty rare. For those of us who still enjoy a good song from the late 60s, we owe these musicians a big thank you. Anyone who has read much of Glasser cannot read this Lipton passage without tracing the important connection between the two. One of my hopes for the Glasser biography was that it would establish and remind readers of Glasser’s influence. There is a growing awareness of the human capacity to make choices and the implication this capacity has on psychological and physical health. The psychology of internal control is gaining momentum! The psychiatric shot heard around the world! It is good that The Wrecking Crew is now being recognized for their sizable contributions to the world of music. I loved their music as a kid and continue to love their music now. In the world of psychology the most important thing is that people understand how to be responsible for their own happiness and that they understand how to meet their basic needs without bulldozing or manipulating others in the process. That said, though, I would like for William Glasser to be seen as a major contributor to this view of mental health. Quickly order the biography from Amazon. Click on the book to access the Amazon link. Is There Any Choice Theory in Being a Tiger Parent? Is this message to parents choice theory friendly? How should a choice theorist relate to these kinds of posters? There are lots of choice theorists out there and I don’t presume to speak for all of them, however I do have a personal opinion on the matter. I saw this message on Facebook and noticed it had garnered a lot of likes. Amy Chua is the author of the 2011 viral book, Battle Hymn of the Tiger Mother, which many interpreted as a manifesto for parents needing to take control of their children’s lives. There was a huge amount of attention given to the book and the topic of parenting, in general. My goal here is not to share a review of the book. I will share below a seven-minute interview of Ms. Chua on PBS, because I think it captures a more complete picture of her motivation to write the book. She explains that much of what she wrote was tongue-in-cheek and that she didn’t expect her ideas to go viral in the way they did. In the end she admitted that her strategies did not work with her youngest daughter, in fact the strategies threatened the relationship between her and her daughter, and had to be softened. Check out the video and decide for yourself. The either-or design of the statement – You can have a successful child or you can have a good relationship with him – is really a false choice. It conveys the idea that you can’t have both at the same time, which is a problem for a choice theorist, who sees the statement needing to be worded more like – My goal as a parent is to nurture a consistent and positive relationship with my child, from which I can inspire and guide him to success. 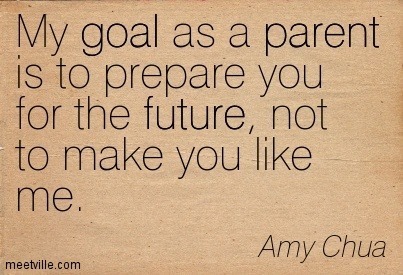 The phrase “My goal as a parent is to prepare you for the future” is really a statement about what success is and specifically, what the parent’s picture of success is. 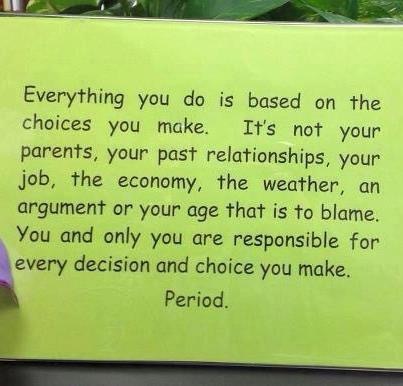 Parents that live this statement seem to be saying “I know what is best for you” and “I know how you should get to where I want you to go.” Such an approach emphasizes control, rather than influence, and children (like every human being on the planet) resist being controlled. It has been said that as long as we are connected to our children, we have influence on their thinking and behavior. Disregard that connection and focus on control at your child’s peril. The phrase “not to make you like me” implies I actually can make you like me, but that I am willing to sacrifice this luxury in favor of your eventual success. This is inaccurate in that a person cannot be made to like anybody. A relationship can be invited, but not forced. Again, the relationship element is seen as possibly nice, but probably a distraction or worse, and thus needs to be de-valued or even eliminated. Statements like the Chua quote seem to tap into what the reader already believes or wants to believe. It confirms a belief in the value of control, even if it means coercing behavior. People with this mindset read “Spare the rod; spoil the child” as a directive to assertively control kids into submission. They see the rod as a necessary weapon. Others, with a different mindset, see the “rod” as a gentle tool, like that with which shepherds guide and prod and nudge. The Amy Chua quote has much more to do with the needs of adults, than it has to do with the needs of children. It has to do with what we think success looks like, rather than helping children and students identify their own vision for success. And it has to do with our willingness to de-value relationships, instead of acknowledging the desperate need children have for positive, nurturing, supportive relationships. William Glasser ran into this same challenge early in his career. 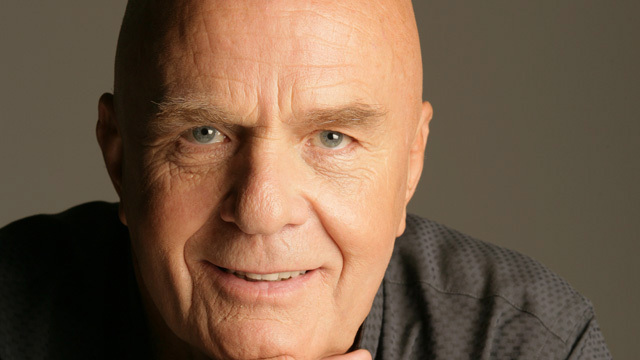 He emphasized personal responsibility in his groundbreaking book, Reality Therapy (1965), which was a part of a total approach that included involvement (the term Glasser originally used to convey human connection and warm relationships) and never giving up. Some latched on to the idea of responsibility and used it as a way to pressure and control kids, which was a huge concern to Glasser and caused him to pull back from the emphasis. He knew that relationships had to be at the top of the list, and that responsibility must be planted in and grow out of these relationships. Amy Chua learned this, too, and changed her approach before it ruined her relationship with her second daughter. For those working with students, this same dynamic will play out for us, too. We can have a false sense of control or we can have true influence. We decide. 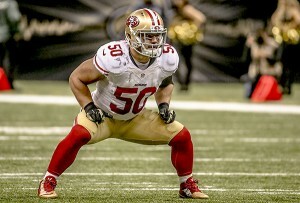 Chris Borland, taken during the Nov. 27, 2014, game against the Seattle Seahawks. Sports media, and news media in general, was abuzz this week over the decision of a young man to retire from football . . . at the age of 24. 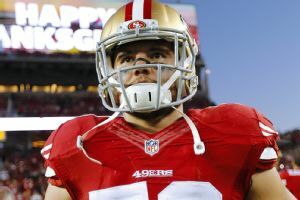 Chris Borland, a linebacker for the San Francisco 49ers, announced that he is hanging up his cleats and heading another direction. He explained that he had looked carefully at the data regarding head impact and trauma, and that the numbers regarding CTE (chronic traumatic encephalopathy), early dementia, memory loss, and depression are pretty alarming. For him the risk wasn’t worth the reward. Borland, focused and ready to attack just prior to the snap. Borland was scheduled to make $504,000 this coming season, not that much by NFL standards, but he most certainly was headed toward making much more than that in the near future. Drafted in the third round out of Wisconsin last year, he caught the notice of the football world when he filled in for an injured Patrick Willis and played like a human missile, consistently unleashing havoc on opponents throughout the second half of last season. In fact, even with less than a full season of playing he led the 49ers in tackles. With Willis recently retiring because of his physical status, 49er fans were comforted by the fact that they had Borland to step in and fill that void. Borland’s announcement to the contrary hit SF Bay Area fans particularly hard. Talking heads of the sports world went nuts with Borland’s announcement. ESPN covered it as one of their major news stories. On a personal level, most commentators felt that Borland had the right to choose as he saw fit regarding his football career, although they were incredulous at his ability to walk away from the money and the fame he was in the process of receiving. The real story, though, was Borland’s decision and its effect on the NFL. Would Borland, for instance, be the first of many to walk away from the violent sport? Some commentators felt that the answer to that question was yes, and that Borland’s decision literally marked the beginning of the end for football as we know it. Not immediately, but eventually. The following Sports Illustrated headline reflects the concern. 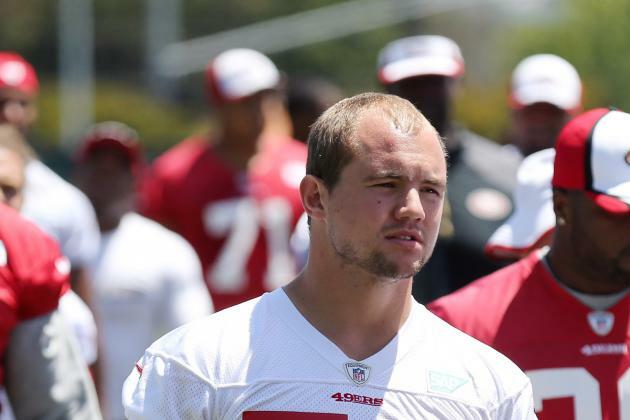 Chris Borland’s choice took the sports world by surprise, yet it is completely consistent with the principles of choice theory. Given that choice theory’s contention is that 1) all behavior is purposeful and need-satisfying, and that 2) people behave in a way that best meets their needs at any given moment, Borland’s decision is understandable and, many would say, sensible. On the January 22, 2013, blog I posted – Give Me Victory or Give Me Death – I wrote about athletes who are willing to risk injury and death in the pursuit of fame. Elite athletes from many different sports must contend with the temptation to enhance their performance through unfair or illegal means. The post especially looked at the sport of cycling and the way in which serious sanctions and penalties did not dissuade elite cyclists (the most famous being Lance Armstrong) from using performance-enhancing drugs (PEDs). From a choice theory perspective, the post argued that while their decision to use PEDs was wrong according to the rules, it was explainable based on the basic needs and quality world of the cyclists within the context of how the sport was then governed. If I am going to comment on a low-point in sports – the PED cycling dilemma – and the out-of-control athletes seeking to gain and maintain a winning advantage as an example of choice theory’s explanation of human behavior, I figure I should also be on the lookout for what I believe to be a high-point in sports – that being Chris Borland’s thoughtful decision to retire from football – and a completely in-control athlete as an example of choice theory as well. Borland during team activities without helmet and pads. We are “inside-out” creatures. “Outside-in” punishments didn’t keep cyclists from cheating, nor did “outside-in” fortune and fame keep Borland on the playing field. Now priced at $22.95 on Amazon. that got me into this mess? I’m sure it can’t be me. and protects us from change. but not when people take advantage of me. that explains our past, present, and future. but what about the bravery part? on the road more traveled. I don’t think I can do it alone. I’m too good at seeing things my way. afraid of glimpsing the people I have hurt. ask me the questions that will help me discover . . . me. It is more the rule than the exception that people grow into adulthood without ever challenging their self-justifications. For such an adult, much energy goes toward crafting a narrowly-focused self view, while at the same time fighting off and even denying different perspectives. The result of this narrow view is a less than happy life, as relationships and circumstances come to be viewed through a victim lens. It is an incredible gift for parents and teachers to guide and mentor children toward being able to bravely look at themselves. The endless cycle of self-justification needs to be melted and it can begin early. Blame and punishment are tools that adults can use to push children toward the mirror, but they are an ill-suited pair for such a task. 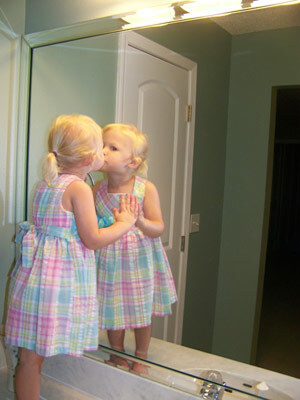 Looking into the mirror requires bravery; blame and punishment create resentment and defensiveness. Looking into the mirror requires vulnerability; blame and punishment build entrenchment. 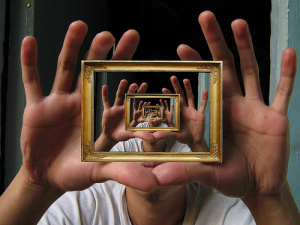 Choice theory can take on many roles – telescope, microscope, compass, GPS, and map, to name a few – but one of its most important roles is that of mirror. Looking into choice theory we begin to see ourselves more accurately. 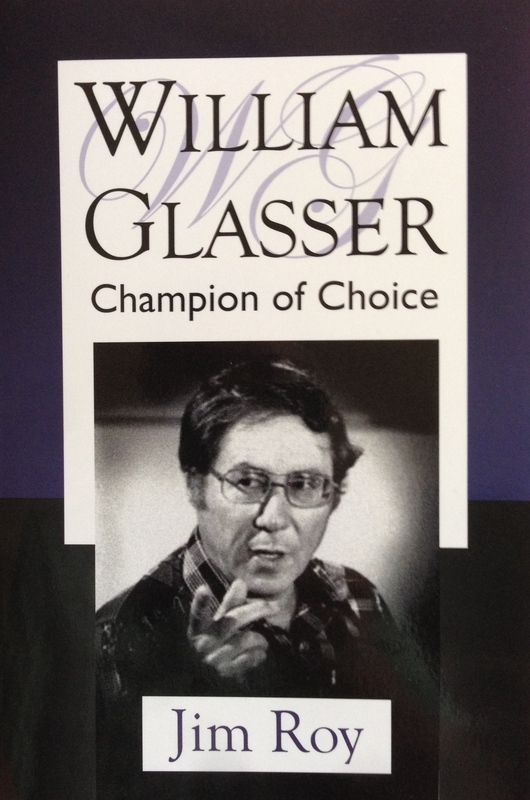 The William Glasser biography – Champion of Choice – will be a huge help toward melting ineffective self-justification. Click on the book to quickly order one from Amazon. Now priced at $18.58 on Amazon.